FINAL: Honduras 5-3 Trinidad and Tobago. Honduras advances to the 2016 CONCACAF Futsal Championship. So we're out of it TM? Trinidad and Tobago’s National Futsal Team ended their World Cup aspirations on Thursday night as they suffered a heart wrenching 5-3 defeat to Honduras in their second leg CONCACAF playoff qualifier at the BN Arena in San Jose, Costa Rica. Needing to win to advance, T&T conceded two goals in the closing minute of the 40-minute match as Honduras captain Carlos Montes and Antonio Moncada converted their chances to leave T&T packing at the end of the affair. Both teams had battled to a 1-1 draw on Wednesday night and entered this affair with everything to play for with the winner set for a place in the CONCACAF Final round which starts in a few days in San Jose. The United States were also eliminated on Thursday, losing 5-3 t0 Canada in the second match at BN Arena. T&T had the worst possible start when Juan Hernandez’s feeble left footed attempt from five metres out attempt at goal slipped through the hands of goalkeeper Kevin Graham to gift Honduras a 1-0 lead in the 3rd minute. The early blow did not keep T&T down for long as Kerry Joseph tied the scores less than a minute later when he slipped his effort through the legs of goalkeeper Norman Vega after Jerwyn Balthazar had played him wide on the left. T&T began to take control of proceedings, looking the livelier of the two teams in what was turning out to be a tense affair . Tackles flew from either side and there was not much attractive play from either team. Kareem Perry should have done better with an opportunity but shot wide of the right post from close range. But he would play his part In helping T&T go ahead with a well played ball across the face of the goal from the right side which made way for Ishmael Daniel to run in and slot home from close up on the far post. T&T had it all do to but would force their way back into the match with an equalizing goal from Jameel Neptune four minutes before half time. The majority of the second half was played in a cautious manner with both teams unwilling to commit in attack at the risk of being left open at the back or committing errors that would gave any advantage to the opposition. Neptune forced Vega to save with a decent left footed effort and Balthazar also had a snap shot narrowly missing the upright around the 35th minute. With the clock winding down, Bevon Bass missed a glorious opportunity to put T&T ahead with what may have turned out to be the deciding goal. Inside the 18th minute, T&T surged forward on the counter after a Honduran attack broke down. Daniel slipped wide on the right to Balthazar who in turn played a perfect low pass for Bass on the far post. But with only the already struggling goalkeeper to beat with a tap in from less than a metre from the goal, Bass miss hit with his right foot, falling in the process as the ball trickled over the touch line for a goal kick. A one-minute time out was called but it was soon all over for T&T when an attempted cross from Montes took a deflection off Noel and slipped past a stranded Graham on his near left post. Honduras were 4-3 ahead in the 19th minute but there was enough time for T&T to force another great opportunity a Balthazar’s shot was partially stopped by the goalkeeper and Neptune’s desperate attempt to nail the rebound from a metre out was foiled by a last ditched challenge by a Honduran player. Goalkeeper Vega got hold of the ball and from a quick throw out, Honduras broke on the counter once again , outnumbering T&T in their half, setting up a simple close range conversion for Moncada. T&T goalkeeper Graham, who performed creditably in Wednesday’s game was tested a few times again in this encounter but could do nothing about the final two goals. It was a disappointing end to T&T’s campaign after there being hopes of securing passage into the final round following the promising display in Wednesday’s 1-1 draw. T&T head coach Clayton Morris was notably saddened by the exit. “A great disappointment for us to go out in the manner in which we did but I could not ask any more of this team for the effort they put out in these two games,” Morris told TTFA Media. “We saw a group of players who gave it their all for this entire campaign and they came a long way from where we were before the Caribbean finals in January. This experience will stay with them and hopefully we can push on from here and continue to strive for betterment in Futsal. “We went into this game knowing that we had to leave everything out there and I think we did that. Sadly it was not enough but looking back at the game we saw where there were moments where the game could have gone either way, especially for us. We had a very good opportunity to take the lead before they scored their fourth goal and then even after we were very unlucky not to get the fourth goal to tie the scores. “We will hopefully build from this and look ahead to brighter things in Futsal in Trinidad and Tobago,” Morris concluded. Thank you for your efforts in building the local game and elevating awareness of futsal. Although the squad was unable to progress, this moment marks a ripe moment to engage in a top to bottom evaluation of what the road forward for local and NT futsal prospects should be. The evaluation has to be honest, forward-thinking and educational. And, you have to be part of it. It is an area to which we should dedicate a plan. 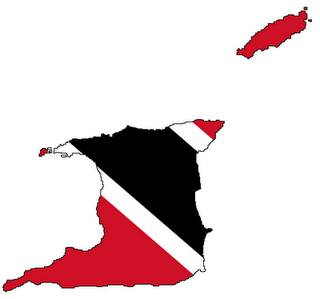 Having observed the training momentum of "even" futsal U-17 national teams in some nations, this is an area in which there is space for Trinidad and Tobago to become assertive on the global stage. It would, and could, also address (in part), amwood's comment regarding the developmental inactivity of many young players across both islands. Costa Rica earned a place in its second straight CONCACAF Futsal Championship final with a 7-1 win over Guatemala on Thursday at the BN Arena. All the goals came after halftime in an intensely disputed semifinal between Central American rivals. Juan Cordero and Diego Zuñiga each netted a brace for the defending champion, while Edgar Santizo notched the lone Guatemalan tally. Costa Rica will meet Panama, which topped Cuba 6-5 after extra time in the first semifinal, in Saturday’s decider. Cuba and Guatemala will square off for third place the same day. The host went ahead in the 22nd minute, when Cordero received a pass on the right side from Edwin Cubillo and blasted a right-footed shot past goalkeeper Carlos Merida. After Zuñiga tapped home an attempt that initially struck the left post 58 seconds later, Cordero made it 3-0 in the 23rd minute by firing in a left-sided free kick. The lead was extended further in the 27th minute as Zuñiga drilled a left-footer into the back of the net off an intriguing set piece that saw Cubillo square the ball from the left to the middle. Santizo pulled a goal back for Guatemala with five minutes left in the game, but the Costa Ricans reeled off three straight goals in response. Cubillo (37’), Alejandro Paniagua (38’ pen) and Stiven Solis (40’) all got their names on the scoresheet. The Costa Ricans, who equaled their own tournament record with an eighth straight triumph, defeated Guatemala 3-2 in the 2012 CFC final. It's clear that Portugal outclassed Panama, but Cuba was nothing but SLACK in dealing with Thailand. And, Costa Rica versus the Solomon Islands were lucky they were playing a naive opponent. It's easy to see where CONCACAF lacks speed of play. Argentina meets Russia in the final today at 3:30pm T&T time. In the semi-final matches, Argentina defeated Portugal 5-2 and Russia defeated Iran 4-3. Argentina wins the gold medal. This team put in a tremendous amount of hard work and seemed to not be affected significantly by their federation's issues. Do three international assignments undertaken under the Trinidad and Tobago Football Association (TTFA) during the tenure of the current David John-Williams administration not prove the legitimacy of the management of the Trinidad and Tobago national futsal team and its claim for compensation? This is the question attorney for the Clayton Morris-coached futsal team is posing to the TTFA president and his general secretary Azaad Khan, who are named in a pre-action protocol letter by five staff members and 22 players on the national team. Morris and company are represented by legal counsel Melissa Roberts-John, who wrote to the TTFA a second time a few days ago. Coach Morris, his coaching staff and players are making a legal claim of just over half a million dollars amounting to player match fees for Caribbean Football Union and CONCACAF competitions, staff per diem and additional expenses incurred during national team service. Among the international assignments which the futsal team undertook under the John-Williams regime was participation in the Caribbean Futsal Championship in Cuba from January 22-26; a camp in Costa Rica and a CONCACAF playoff against Honduras from May 5-6 in Panama. “We undertook three or four assignments, including under the (current) TTFA,” said Morris, who in turn added that they will also have the testimony of former TTFA boss Raymond Tim Kee, that they were properly hired by him and certain promises were made. Prior to being defeated by John-Williams for the TTFA presidency close to a year ago, Tim Kee acknowledged that several times he made verbal arrangements with national teams and did not give written contracts because the TTFA did not yet have the funds to honour them. Morris, a former national senior team captain, was in charge of the national futsal team that won the Caribbean Football Union Championships in 2004 and 2008. After their initial request for compensation, the TTFA replied, requesting a contract or documentation proving the appointment, terms and conditions of the technical staff were approved by the Football Association. Additionally, the Association wanted documentation whereby the appointment, terms and conditions of the players were settled and agreed by the Trinidad and Tobago Football Association. If no settlement is reached, court action is the next step. Futsal, is not just a sport, for inmates at the Maximum Security Prison at Golden Grove, Arouca, it is a lifeline that they received and one they are willing to extend. Sunday Newsday visited the Maximum Security Prison last Wednesday when the "new" sport was introduced to remanded inmates. The sport was introduced in the country in 2004 and last year brought to the prison with the aim of helping inmates rehabilitate while awaiting their day in court or their release date. The man with the "futballs" who brought the sport to the prison is Clayton Morris, the former TT football captain from the Strike Squad of 1989. TT has failed to qualify for two Futsal World Cups but has been crowned Caribbean champions twice since the game was brought to these shores. From futsal's local inception, at-risk men were targeted as the sport was aimed at reforming men from communities deemed crime hotspots. Addressing the inmates last week, Morris said the first national team consisted mostly of men from impoverished communities. Morris was asked to bring the programme to the prison by Prisons Commissioner Gerard Wilson, who was present at the launch in Remand Yard. Speaking with Sunday Newsday, Morris said the acronym Friends United To Save Another Life was coined after they realised the impact the game had on the lives on those playing. The inmates housed at Maximum Security Prison were the first to learn the sport. Then the women and, two Fridays ago, the teenage boys at the Youth Training Centre. Last week, the remandees at Remand Yard in Golden Grove learned the sport. The aim is to have an internal futsal competition with inmates in all of the prisons. Morris is expected to teach the sport in every prison before the year ends. He reminded the inmates that futsal was not small-goal football. Addressing those gathered, one of the officials of the game Hamid Ali, one of the men accused of murdering special state prosecutor Dana Seetahal, said when he came into the prison there was a Rasta City and Muslim gang war which evaporated with the introduction of the game. He said the war must remain dead and rivalry should only exist on the field. "We need to be positive people, we have to cut out the war through sports. I am a businessman it have no money in war. This war thing have to done. Don't embarrass those who are going out on a limb for us," Ali admonished those in attendance. Also speaking was inmate Brendon De Silva, he said futsal "reconstructed" him and taught him discipline, morals and values in life. Another inmate, Jamaican Christopher Scott said he would take the game back to his island. Scott said Morris brought more than a new sport to the prison, he brought a discipline. He added that the development of the men participating was evident. Wilson, who was welcomed with thunderous applause and a standing ovation, was called "daddy" by the inmates. He told them futsal was his way of repaying them for the support they gave him before he was commissioner. Wilson said with the changes he had seen in the inmates, he was "almost tempted" to allow them to take public transport to other prisons to teach futsal. He said the programme should be a testament to the public that there are people in prison capable of changing their lives. Assistant Superintendent of Prisons Terry Joseph, assigned to Remand Yard, said he had inmates wanting to go to the Maximum Security Prison just to take part in the game. He told the inmates they should seize the opportunity as futsal could be a vessel to take them where they needed to be in life. According to FIFA, futsal is a 40-minute game with a 15-minute half-time break. The 20 minutes represent the actual playing time, as the clock is stopped whenever the ball is not in play or if the match is interrupted. The clock only starts again once play resumes. Each team may request a time-out of one minute per half. This can only be done when the side requesting the break is in possession of the ball, and the timekeeper has been informed. If a coach chooses not to use a time-out in the first half, it cannot be carried over to the second period: he will only have his regulation one time-out left. There are no time-outs if a match goes to extra time. Each team starts with one goalkeeper and four outfield players on the pitch. Over the course of the 40 minutes, up to nine additional players may be used and these can be substituted on and off an unlimited amount of times. A further feature of futsal is that changes can be made without stopping the game. Substitutions must take place in the clearly designated substitution zone. If a player commits a foul, the referee can decide to award either a direct or indirect free-kick, or a penalty if the foul took place inside the penalty area. Just like in football played on a grass pitch, yellow and red cards can be issued in futsal. If a player is shown a red card he can be replaced on the pitch by a substitute after a mandatory two-minute time penalty that always follows a red card. If the team concedes a goal during this time, a substitute may enter the pitch before the two-minute penalty has been completed. Goalkeepers can move anywhere on the pitch and are allowed to throw the ball out into the opposition half. If the goalkeeper has the ball he must play it to a teammate within four seconds, regardless of whether the ball is in his hands or at his feet. The goalkeeper may not take part in his team's ensuing attack, unless the other side touches the ball first or the goalkeeper is in the opposition's half. All fouls are are accumulated fouls, after the fifth team foul each foul after warrants a free-kick without a wall on the second penalty mark, which is ten metres from goal and four metres behind the first penalty spot. If the foul was made between the byline and the second penalty mark, the free-kick may be taken closer to the goal. If a match goes to extra time the accumulated fouls from the second half remain valid and any further fouls are added to the tally. Futsal is played with indoors with a size four ball that does not bounce as much as a traditional football. Two referees officiate the game and are situated on each touchline. As there are no side hoardings, the ball can go out of play. If this happens, play resumes via a kick-in, rather than a throw-in or by rolling the ball. There is no offside in futsal. WATCH: Inmates are being empowered through the sport of Futsal, as they are learning from the best. This is the Futsal Development Programme initiated by Clayton Morris and friends. T&T Youth Girls for Futsal tourney in Buenos Aires. A Trinidad and Tobago Youth Girls Futsal team will come up against Thailand, Spain, Bolivia and Tongo in Group C of the Girls Futsal Tournament at the third edition of the Youth Olympic Games that will make its Olympic debut in October with Tecnopolis Park as its main stage, in Buenos Aires, Argentina. Group D will feature Chile, Portugal, Dominican Republic, Cameroon and Japan. And in the boys’ event Group A will feature Argentina, Egypt, Panama, Iraq and Slovakia while Group B is made up of Iran, Solomon Islands, Costa Rica, Russia and Brazil. The futsal draw was held at the Buenos Aires City Hall on Friday. The first two teams from each group will play to determine which National Olympic Committee representatives will compete for the gold medal as well as the match for third place. Both tournaments will kick off on October 7, one day after the opening ceremony. The final for the women’s competition will be held on October 17, while the men’s title match will take place the next day. Members from the Buenos Aires 2018 Organising Committee, municipal government officials, authorities from the Argentine Football Association, and representatives from all teams that will take part in the competition were in attendance for the event. There will be 11 days of non-stop action, with four matches per day that will awaken the football passion of all Argentines and foreigners visiting Buenos Aires for the multisport competition. SIX­TEEN-year-old Afiyah Corn­wall, scored a beaver-trick as T&T fut­sal girls kept their hopes of qual­i­fy­ing to the medal round alive in Pool C at the Buenos Aires Youth Olympic Games in Ar­genti­na, with a 7-5 win over Ton­ga on Wednes­day. How­ev­er, at the half-time in­ter­val, T&T trailed 2-1, on­ly to turn things around in the sec­ond half thanks to Corn­wall. Se­nior na­tion­al women's team strik­er, teenag­er, Aaliyah Prince, 17, added a pair of goals for T&T while 14-year-old de­fend­er Moe­ne­sa Mejias net­ted the oth­er as T&T picked up its first three points, to go lev­el with Bo­livia and Thai­land while Ton­ga re­mained win­less. Spain leads the five-team pool with max­i­mum six points af­ter two match­es. For Ton­ga, Sei­ni Lu­ti net­ted a hat-trick, and Mele Ako­lo and Fine­hi­ka Fin­au, one each in the loss as T&T goal­keep­ers Maki­da Her­bert (two goals al­lowed) and Chelsea Ram­nauth (three goals al­lowed), both shared du­ties in be­tween the up­rights. Bo­livia picked up its first win yes­ter­day as well, 6-4 over Thai­land while Spain had the day off. On Fri­day, T&T fut­sal girls will meet Bo­livia, and then a day lat­er, Spain, both from 3 pm to close out round-robin play. Lawd have her mercy..we get 14-0 from Thailand, Thailand get 8-0 from Spain..and we playing Spain tomorrow. In football, 1+1 doh always equal two. Still pumped from its first win in the fut­sal com­pe­ti­tion at the Youth Olympic Games on Wednes­day, T&T women's team en­tered yes­ter­day's match against Bo­livia full of con­fi­dence but a late run by its op­po­nent saw the lo­cal team slumped to a 5-2 de­feat. This was at the Fut­sal Main Sta­di­um in Buenos Aires, Ar­genti­na, falling to its sec­ond loss in Group C de­spite hav­ing a cred­i­ble start in its third match of the com­pe­ti­tion. Maria Gálvez opened the scor­ing for the Bo­li­vians with her first of four goals, in the fifth minute. Some 12 min­utes lat­er, an own goal by Alexan­dra Se­leme put T&T lev­elled with Bo­livia. De­spite chal­lenges down on both ends, the score looked like it would stay un­changed un­til the half but Gálvez re­turned a lit­tle over a minute be­fore the close of the first half and put her team on top, 2-1 be­fore the 20-minute pe­ri­od ex­pired. On the re­sump­tion, T&T, which de­feat­ed Ton­ga (7-5) and lost to Thai­land (14-0) on Sun­day, again drew lev­elled with Bo­livia thanks to Moe­ne­sa Mejias, who net­ted her team's sec­ond goal in the 22nd minute. The bat­tle raged on with nei­ther team find­ing the back of the net for a 14th-minute span un­til Fabi­ana Al­varez got one in­side in the 36th to put Bo­livia up, 3-2. From there it went down­hill for T&T fut­sal play­ers, who con­ced­ed an­oth­er item in the 39th off of Gálvez again be­fore she re­turned sec­onds lat­er to seal the vic­to­ry for Bo­livia, it's third in four match­es to be in the sec­ond spot on the ta­ble be­hind un­beat­en Spain, T&T's op­po­nent to­day. T&T is in fourth place of the five teams in the group as the first round comes to end to­day. Football maths somehow don't seem to ever be in our Favour doh. 14+8=16-1.Hope the coaches get it. Next time, 'Park the Bus', or did no one know how to put the bus in gear to move it onto the court? High Court orders TTFA pay 2016 team immediately. FORMER national futsal coach Clayton Morris has expressed relief, after the TT Football Association (TTFA) was yesterday ordered by the High Court to immediately pay representatives of T&T's 2006 futsal team, including Morris, other staff members and 22 players, nearly half a million dollars. The futsal team, represented by attorney Keston McQuilken, made claims for non-payment of salaries, match fees and per diems for the CONCACAF Futsal Championships, which took place in Costa Rica in May, 2016. The TTFA has to pay the team $475,743 plus interest at three per cent per annum and also cover their legal fees. Former national footballer and head coach of the futsal team at the time, Clayton Morris, took charge of the team in 2016 following an oral agreement between himself and ex-TTFA president Raymond Tim Kee. The TTFA, however, took the position that an arrangement between itself and the futsal team was done before John-Williams' tenure and was in violation of Article 36(j) of the TTFA constitution, which gives only the board of directors authority to select technical staff for a national team. However, the presiding judge, Justice Margaret Mohammed, viewed John-Williams' defence to have been discredited in cross-examination by attorney Keston McQuilkin, who showed that the constitution came into existence well after Morris and Tim Kee had reached a verbal agreement about the futsal team's programme. Attempts to reach John-Williams for a response to yesterday's verdict were unsuccessful. Morris, despite winning in court, was not in an entirely celebratory mood. "I feel relieved that justice has been served," he told Newsday yesterday. "It's bitter-sweet. I've played football for 85 per cent of my life and all that I've achieved is though this sport. It's bitter because you have to go to court to get what you've earned. The main thing is respect for our players," he said. Morris, captain of the 1989 Strike Squad, said he hopes the stance taken by the futsal players will inspire other teams who may feel aggrieved to stand up for their rights. "A lot of other managers are afraid to step forward because they feel they will be victimised. At the end of the day we want what's best for T&T football," he said. Does he fear being blacklisted for taking the TTFA to court? "I have no fear. As a coach, you have to stand before the players and they look at you bigger than a teacher or a priest. You must have that confidence to tell them (what to do). I have no fear with respect to this. I was inducted into the First Citizens Hall of Fame in 2015 and I was supposed to get a pass to attend any game free of charge and my pass has been withheld. I have to line-up and pay like everybody else. I have no fear. "It is about respect for the human resource and human beings. Just as we loving up the Home of Football, we have to respect the footballers and the people washing the bibs. These people deserve respect too," he said. Morris said he was never in doubt that the futsal team could lose the case. "Why do we have to go this way? You ask people to make sacrifices. I dipped in my pocket, submit bills and all they could say is they don't know anything about that. No way we could lose. We had all documents, cheques for us to travel, CONCACAF documents that were sent to us. We were very confident," he declared. High Court awards Futsal footballers $.5M. Af­ter a two-year bat­tle with the par­ent body the T&T Foot­ball As­so­ci­a­tion for un­paid salaries, per diem, trav­el costs, match fees, rental fees and oth­er ex­pens­es, the na­tion­al Fut­sal team, yes­ter­day fi­nal­ly claimed vic­to­ry in the High Court in Port-of-Spain to the tune of $500,000. The amount, to­geth­er with the le­gal costs of the fut­sal team of $69,200.82 was to be paid im­me­di­ate­ly. Af­ter­wards, then coach Clay­ton Mor­ris said the vic­to­ry was not for him but rather for the dis­re­spect shown to the coun­try's foot­ballers, both men and women, who toil every day to be able to rep­re­sent the red, white and black at lo­cal and in­ter­na­tion­al tour­na­ments. Mor­ris, the for­mer cap­tain of the now fa­mous 'Strike Squad' team of 1989, was the dri­ving force be­hind the court bat­tle, say­ing he was begged to pre­pare a team for the Caribbean Foot­ball Union (CFU) Tour­na­ment in Cu­ba in 2015, which he ac­cept­ed to pre­vent the em­bat­tled foot­ball as­so­ci­a­tion from be­ing pe­nal­ized by the CFU. In spite of the haste to get a team pre­pared, Mor­ris got the sup­port of his play­ers who train four days a week, both day and night, and qual­i­fied for one of two play­off spots by virtue of plac­ing third. How­ev­er, their joy quick­ly turned to sor­row when pres­i­dent David John-Williams al­leged­ly de­nied even know­ing who had giv­en Mor­ris and com­pa­ny the team to train. The team was led by cap­tain Jer­wyn Balt­haz­ar and in­clud­ed Ish­mael Daniel, An­tho­ny Small, Ka­reem Per­ry, Jamel Lewis, Col­in Joseph, Adri­an Pirthys­ingh, Kevin Gra­ham, Ke­vaughn Con­nell, Ke­ston Guy, Noel Williams, Cyra­no Glen, Bevon Bass and Jameel Nep­tune. Mor­ris head­ed the tech­ni­cal staff along with Ronald Br­ere­ton (man­ag­er), Ster­ling O'Brien (as­sis­tant coach), Per­ry Mar­tin (goal­keep­er coach) and Brent El­der (train­er/physio). Mor­ris said he took mon­ey out of his own pock­ets to rent fa­cil­i­ties for the team to train while play­ers showed amaz­ing com­mit­ment by trav­el­ling long dis­tances with fam­i­lies at their sides to prac­tice, but com­pen­sa­tion for all this, to­geth­er with match fees, per diem and oth­er costs were de­nied by John-Williams. "We came to­geth­er as a team and agreed to take le­gal ac­tion against the ad­min­is­tra­tors of the sport. This is not about mon­ey, but they have to re­spect peo­ple for the work that they do. There needs to be a hu­man touch with­in the foot­ball as­so­ci­a­tion," Mor­ris said. "I feel re­al­ly sad to see now what our women foot­ballers have gone through and the dis­re­spect they were treat­ed with." At­tempts to reach John Williams for a com­ment yes­ter­day proved fu­tile as calls to his cell­phone went unan­swered. Futsal team furious as DJW appeals court ruling—without board approval; TTFA sets new record in legal fees. Trinidad and Tobago Football Association (TTFA) president David John-Williams has taken his cash-strapped body back to the High Court, as the local football body submitted an appeal today against its TT$544,943 loss to the National Futsal Team players and technical staff on 13 December 2018. John-Williams’ move provoked a furious response from the Futsal squad, who had given the football body a grace period to satisfy the court judgment—only to discover the administrator had used the time to plot an appeal instead. “We got the judgment on the 13th of December and we wrote to the attorneys of the TTFA asking for payment,” National Futsal Team manager Ronald Brereton told Wired868. “They asked for 28 days within which to pay—which expired on the 11th of January 2019—and we granted it to them in good faith. The TTFA’s legal manoeuvre means a further delay for justice in a two year battle between the two parties. The successful Futsal players listed in the action were: captain Jerwyn Balthazar, Kevin Graham, Adrian Pirthysingh, Colin Joseph, Kerry Joseph, Jameel Neptune, Ishmael Daniel, Anthony Small, Kevaughn Connell, Keston Guy, Kareem Perry, Jamel Lewis, Noel Williams, Bevon Bass and Cyrano Glen—whose elder brother Cornell Glen was one of 13 Soca Warriors who successfully sued the TTFA in the landmark ‘2006 World Cup bonus dispute’. The technical staff members were: Clayton Morris (head coach), Sterlin O’Brian (assistant coach), Perry Martin (goalkeeper coach), Brent Elder (trainer) and Brereton. Last month, Justice Margaret Y Mohammed ruled that the football body owed unpaid salaries, match fees, per diems and expenses to the claimants totalling roughly TT$475,743 plus interest at three per cent per annum. The TTFA was also ordered to pay the Futsal Team’s legal costs of TT$69,200.82. All costs were to be paid immediately. The Futsal players and staff were represented by Keston McQuilkin and Melissa Keisha Roberts-John while Annand Misir and Janelle Ganness appeared for the local football body. “The Court is satisfied from the unshaken evidence of the Claimants, and the evidence elicited from Mr John-Williams, the present President of the [TTFA], that there was an oral agreement between the Claimants and Mr Tim Kee, which provided for the selection, training and compensation of the Technical Staff and the players who formed the Team. “It was not disputed by the [TTFA] that the Claimants participated in the CFU Qualifiers and CONCACAF Championship and in so doing represented Trinidad and Tobago. This was supported by the evidence from Mr John-Williams, who also stated that the Defendant supported the Technical Staff and the Team financially and otherwise, thereby sanctioning the agreement made by Mr Tim Kee. And the football president insisted, despite the previous ruling, that Tim Kee should not have been allowed to enter into agreement with Morris and his team; and Justice Mohammed “erred” and “misdirected” herself in her handling of the matter. Ironically, John-Williams is arguing that Tim Kee should not have been allowed to unilaterally tie the TTFA to a contract with Futsal—a deal, as Justice Mohammed pointed out, that John-Williams recognised when it suited him; right up until the time to pay. Yet, the incumbent football president did not seek or receive board approval to take the football body back to court in the matter. The current administration’s regular and costly appearances before the High Court already appears unrivalled in the TTFA’s 110-year history. Between 2008 and 2015—a period that included the TTFA’s memorable 2006 World Cup bonus dispute—the local football body spent TT$1,108,620 on legal fees, with the largest annual figure being the TT$236,510 spent in 2011. (A breakdown of fees was missing for 2010). In John-Williams’ first two years at the helm, the incumbent spent almost twice as much as he splashed out TT$1,260,960 on legal fees in 2016 and a further $766,276 in 2017 for a total of TT$2,027,236. During this time, the TTFA has been unable to pay coaches, players and other creditors. Brereton said the Futsal Team filed an application for enforcement proceedings but are unsure as to whether this was done before the TTFA lodged their appeal. “I think our application went in before their appeal but, come next Wednesday, we will appear before the master and will be directed by the court,” said Brereton. “This just goes to show that this man is not to be trusted in any kind of forum. The Court misdirected itself in the assessment of the evidence of Jerwyn Balthazar, Sterlin O’ Brian and Perry Martin and took into consideration irrelevant matters, which were never pleaded and which the [TTFA] were never called upon to answer. Futsal team to receive $270,000 plus. JUST over two weeks after the High Court issued the TT Football Association's (TTFA) with a garnishee order, the court yesterday gave consent to lawyers representing this country's national futsal team to receive from TTFA's six frozen accounts at First Citizens Bank, a figure of over $270,000 – about half the sum awarded by the court last December. The futsal team was represented yesterday by attorneys Keston McQuilkin and Melissa Keisha Roberts-John. One or both of the attorneys will receive a cheque from First Citizens, from which funds will be distributed to the claimants, comprising 15 former national futsal players and five members of the team's then technical staff. "It is an indication that the justice system in this country works," said the team's then manager Ronald Brereton following the court matter. The lawsuit stemmed from an agreement between the futsal team and former TTFA president Raymond Tim Kee to pay the national players salaries, stipends and match fees in part for their representation at the Concacaf Futsal Championship, which took place in Costa Rica, in May, 2016. Current president of the TTFA David John-Williams, who could not be reached for comment yesterday, previously said action against the TTFA by the futsal team was just one of several lawsuits brought about by actions of the previous TTFA administration. The matter with the Futsal team seemingly neared an end on December 13 last year when the team was awarded a figure of TT$475,743 plus interest at three per cent per annum, along with legal costs, which would now push the total figure closer to $600,000. Brereton said the TTFA asked for an extension for it to receive a FIFA subvention, but instead used the opportunity to appeal. He believes the association used the opportunity to "buy time" through "deceptive methods", since it did not release funds from a US$600,000 FIFA subvention, which was received by the association. "The attorneys on behalf of the TTFA (after the ruling) advised that they were getting a FIFA subvention late December, early January (2019), and they asked us for 28 days' stay so they can make the payment. Instead of making the payment, they then filed an appeal. When we learned this, we went to the court and sought a garnishee order on their accounts," Brereton said, adding that their failure to use funds from the subvention made way for new questions regarding the association's spending habits and defiance of court orders. "I am advised, subject to correction, that the association received some US$600,000 when we gave them 28 days stay. We have not received a cent. And then you turn around and file an appeal. That's how gentlemen operate." Asked how the legal team will pursue the outstanding sum, Brereton said, "We will be guided by our attorneys. Let us get this out of the way, but we want all of our money." He added that their decision last December to allow the TTFA 28 days to make the payment was done in "good faith" and that the latest order by the court was not where he wanted the case to reach – to the detriment of the organisation and to football at large. "The thing about it is, if you are dealing with people who are humane and genuine in their approaches to you, then you can meet halfway and there will be decent room for compromise. But this TTFA does not leave me with any alternative but to fight them," said Brereton. "It is a matter of deception and deception by the TTFA president, because ask any member of the TTFA board, if they are aware of what is going on in the court, and every man will tell you no." The bank is expected to receive, perhaps today, a letter directing it to prepare a cheque, from which funds will be distributed amongst the claimants, comprising 15 players and five members of the team's technical staff. The players are, Cyrano Glen, Colin Joseph, Kerry Joseph, Jameel Neptune, Kevin Graham, Anthony Small, Kevaughn Connell, Keston Guy, Kareem Perry, Noel Williams, Jamel Lewis, Ishmael Daniel, Bevon Bass, Adrian Pirthysingh and Jerwyn Balthazar. Along with Brereton on the technical staff are, Clayton Morris, Sterling O'Brian, Perry Martin and Brent Elder. Yuh nominated to fix football, so yuh building big home of football, and football and admin staff falling apart. Yuh just hit we football for 6 years back..big home that no one can afford to live in, still homeless.